It is hard to believe that 2016 is coming to an end. The DomaCom Team would like to take this opportunity to thank you for your support, and wish you a wonderful festive season and a prosperous new year. DomaCom is excited to announce that Lonsec has reviewed and rated the DomaCom Fund. Commenting on this long-awaited approval, DomaCom CEO, Arthur Naoumidis, said, “Whilst we have several reviews and ratings from other agencies which have led 41 AFSLs to place our Fund on their approved product list, the reality is a rating from Lonsec will have a greater impact, increasing the number of dealer groups, exposing the Fund to their advisers and giving them more confidence to bring fractional property under their advice”. “Every dealer group relies to some degree on Lonsec, so this rating opens up the market to every adviser in Australia” he said. For a copy of the Lonsec research report, please visit the Research Report page of our website and complete the Adviser contact details form. Please note that this publication is not to be circulated or distributed and is solely for the information of financial services professionals. SuperConcepts has added the DomaCom Fund to its low-cost fund administration service, iSaver, for SMSFs holding simple assets. The collaboration with SuperConcepts will provide SMSF trustees and advisers with an easier way to access property investments through DomaCom’s fractional investment model, which breaks down the high cost of property to achieve specific asset allocation in the sector. This new development follows a recent analysis of SMSF investment trends by SuperConcepts which showed that using SMSFs to buy property continues to be a popular strategy. iSaver offers a low-cost fund administration service for SMSFs holding simple assets such as cash, term deposits and domestic shares. iSaver will add DomaCom property investments to this list at no additional cost. Following a 5-year development and launch phase which saw the company acquire 32 properties for investors and initiate another 49 bookbuilds*, DomaCom has taken the next major step on its corporate journey with a listing on the Australian Securities Exchange (DCL:ASX) on 7th November 2016. Despite the tougher ASX listing environment, political and economic volatilities around the world, DomaCom’s outlook is promising and the company will focus on its underlying business and drive funds under management to new heights. Given the media attention recently about confirmed bids to purchase the Kidman & Co pastoral holdings, we believe it is a good time to update you on the status of our Kidman Station crowdfunding campaign. Our Kidman campaign has been remarkable – we received around $80 million worth of pledges from 5,500 investors of which nearly 600 had opened accounts with the DomaCom Fund. Given the confirmed bids exceed the value that we could achieve, we have decided to wind up our Kidman campaign and divert our attention to a much more attainable rural opportunity that we believe will have significant structural benefits to Australian farmers – i.e. keeping the families on the land without the interference from banks or being sold to overseas interests. A lot of work went on behind the scenes to keep our Kidman Station bid alive for over 10 months, and we are proud of our efforts. The Kidman campaign was always a very ambitious exercise and we believe the real opportunity is for us to use this momentum to address the funding issue for our Australian farmers at a more grass roots level – one farm at a time. Recently we promoted a new crowdfunding campaign for Pajingo Cattle Station located near Charters Towers, far north Queensland, as an alternative investment to the Kidman Station properties. Unfortunately, the vendors have decided not to proceed with that proposed transaction. As a result, we have decided that a better strategy is to secure investor funds first then identify a suitable property instead of the other way round. In this way we avoid further disappointment and know how much we have to invest. It may be that we have sufficient for 2 or 3 properties which would further diversify your client’s investment. We are calling this a Rural Property Strategy bookbuild and if you are happy with this approach, you can pledge some of your clients’ funds to this bookbuild and we will let you know when and which property/ies we identify when the time comes. Once properties have been identified your clients will receive a Supplementary Product Disclosure Statement outlining the specific offer to invest in specific properties which will contain all information required for you to make a decision. 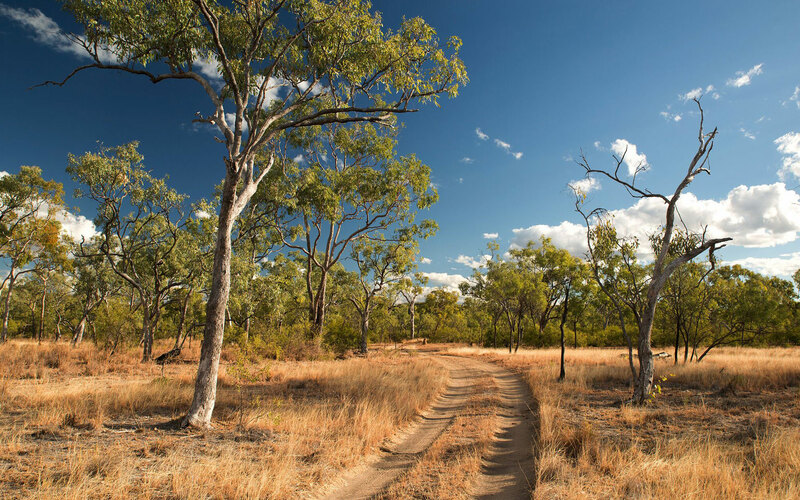 Rural property is well regarded by Australians looking for a socially responsible investment with a reasonable return by way of income and capital appreciation. Investors taking the Rural Property Strategy approach could benefit from the stronger buying power that comes with a cash purchase. It is therefore important to participate in the bookbuild ahead of the property selection so we can be confident of an acquisition when a property comes to market. We will also be in a better position to acquire off-market. For as little as $2,500 per property, your clients’ funds in the DomaCom Cash account can be applied to the purchase of multiple properties within a Rural Property Strategy. commonly leased back to the vendor/s who may have had the property for generations. If you would like your clients to participate in our Rural Property Strategy bookbuild, visit the Rural Property Strategy page on our website and click on the Apply button. DomaCom took crowdfunding into reality television as part of a campaign to help viewers own a slice of one or more of Channel Nine’s The Block apartments when they went to auction in mid-November 2016. Whilst we attended the event with our buyer’s agent, we did not win a bid. Stay tuned for more news on The Block via our Facebook and LinkedIn social media pages as we look forward to 2017 season and to previous Block properties that will be coming to market shortly. These properties are generally well ahead of the median price/rent for their area and, being fully furnished, come with high depreciation schedules. When they resell they more often than not sell for a premium to their original auction price. In all, they perform quite well. We’re a proud sponsor the upcoming SMSF Association 2017 National Conference that will take place in Melbourne on 15th to 17th February 2017. There are sessions tailored to all industries and occupations relevant to the SMSF industry including financial planners, accountants, auditors, lawyers and administrators. Day 2 has been designed to be ‘all about your business’, and the entire conference is jam-packed full of technical content to assist you in providing the most up-to-date SMSF advice. DISCLAIMER: DomaCom Australia Ltd ACN 153 951 770 is the holder of an Australian Financial Services Licence (AFSL) 444365 and is authorised to provide general financial product advice, to deal in certain financial products and to make a market in units in sub funds of the DomaCom Fund ARSN 167 020 626. Whilst DomaCom has taken all reasonable care to produce the information in this material, it does not make any representations in respect of, or warrant the accuracy, timeliness or completeness of any of the information. The information provided in this material is general information only. It does not constitute financial, tax or legal advice or a forecast. This information has been prepared without taking into account your personal objectives, financial situation or personal needs. Before acting on the information or deciding whether to acquire or hold a financial product, you should consider its appropriateness. It is recommended before making any investment decision, that you seek independent financial advice and read the relevant Product Disclosure Statement (PDS) and any Supplementary Product Disclosure Statement (SPDS) available on the DomaCom Ltd website, www.domacom.com.au , or by phoning 1300 365 930.